Michael Owen Newcastle Utd signed 8x6 inch photo. 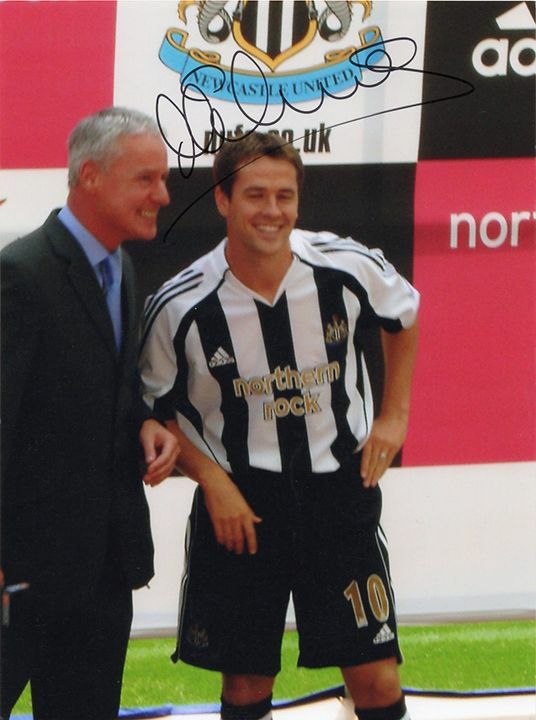 Michael Owen, Newcastle Utd, signed 8x6 inch photo. 8x6 inch colour photo personally hand-signed in black sharpie pen by Michael Owen, Newcastle United FC and England. Owen has had a hugely successful and high-profile career at both club and international level and was the European Footballer of the Year in 2001. His previous clubs were Liverpool and Real Madrid. He was capped 89 times for England.